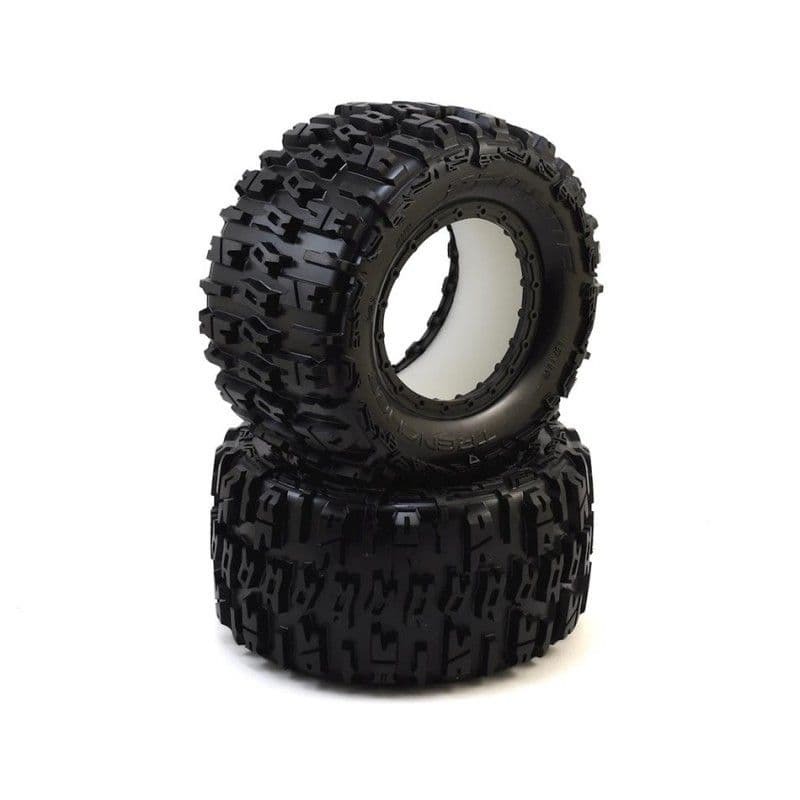 The Pro-Line X-Maxx Trencher 4.3" Pro-Loc Truck Tires will perform above and beyond your expectations in any off-road condition you can dream up. Whether it is loose or hard-packed dirt, sand, snow, grass or gravel the Trencher tire is up to the task. The Trencher 4.3" is Wider and Taller than the popular Badlands 4.3" for more aggressive looks and performance, and comes in a Super Soft compound for incredible grip! The Trencher tread was designed to have ultimate traction combined with long-lasting durability. Each tire lug is shaped to dig into whatever surface you are running on and is ultra-thick so that it is extremely durable. The Trencher 4.3" tire features Pro-Line's ground breaking proprietary Pro-Loc Technology that creates an ultra-secure bond to Pro-Line's Impulse Pro-Loc X-MAXX® wheels while still being removable when required. The reinforced Tire bead fits into a uniquely shaped channel on the wheel and the bead-loc screws actually pass through the tire rubber before being pinched by the outer bead-loc ring to create the maximum possible mounting security.